9 boxes of liquid hair ink, 9 boxes of hair ink sticks, 18 six inches flat tv monitors, hair braid and electronic cables, video document: making ink alchemy. 1999 – 2001, shanghai cao su gong ink factory, shanghai, china. powdered chinese hair made into the biological liquid ink and ink stick format are the new materials for chinese ink painting. the hair-made genetic ink itself is an art object, and at the same time, it is a component of my new installation. this special invention has been possible by the collaborative effort and generous support of the bio-lab of shanghai university, the shanghai test tubing factory, the shanghai qunzhong furniture factory, the shanghai medical factory and the shanghai ink factory. through difficult process of experimentation, we have achieved a significant result in the historical development of chinese traditional ink-making methods. the definition of “black silk” represents chinese hair itself, “rain” refers to the ink drop. traditionally, the shanghai medical factory produces hair powder for medicinal purposes. powdered human hair is used as a medical treatment for anxiety. in traditional ink fabrication, charcoal powder is used as the black pigment material. the medical factory has invented a hair powder especially formulated to be the fundamental pigment for my liquid ink and ink stick following the original chinese prescription of powdered human hair, ironically and symbolically, the human hair-made ink is now given a conceptual function to cure cultural anxiety. because of it is biological properties, and link to the concept of our biological century, this new chinese ink is bottled in a standard biological laboratory container made of clear glass, resting in a gracefully designed jichi wood box. the ink glass bottle and jichi wood box are engraved with the words “black silk rain” both in chinese and english. the package traditionally displays the ink as a revered, chinese national treasure. the human biological ink sticks are traditionally formulated and each made by hand. the ink stick shape is made to my custom specifications and includes the name carved into the surface and highlighted in gold. they are beautifully displayed in a jichi wood box with the three word title engraved on the lid: “black silk rain” . 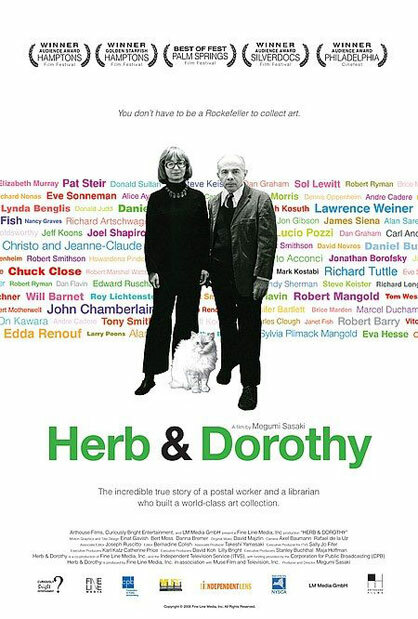 Chronicling the story of unlikely art collectors Herb Vogel and Dorothy Vogel, filmmaker Megumi Sasaki demonstrates that it’s not necessary to be wealthy in order to build a significant collection in this fascinating documentary. A postal clerk and a librarian, the Vogels share a passion for art, which they pursued over decades, becoming two of the most important collectors of minimalist and conceptual art with more than 4,000 pieces. A reflection on the survival and persistence of the Lakota people as well as the relationship between white and Native Americans. The title refers to a Western, made in 1931, from which the footage of the Oklahoma land rush is appropriated and run backward in a kind of unsettling of the West. The original Cimarron is noted for it’s stereotypical portrayals of Native Americans. 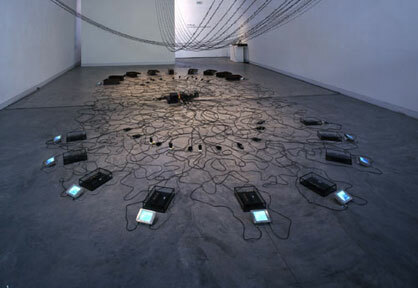 Lydia Moyer is a visual artist and media maker who lives and works in central Virginia. She runs the new media program in the art department at the University of Virginia.